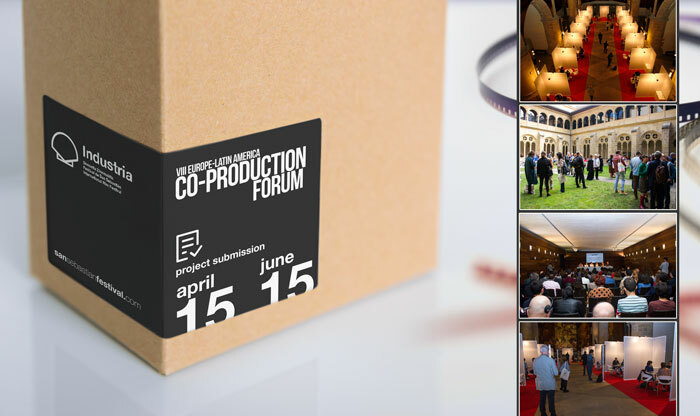 The Europe-Latin America Co-Production Forum is a reference platform for the promotion of new audiovisual projects between both film industries. It is also a meeting point which enables contacts and agreements between professionals, as well as the exchange of experiences. The Forum consists of a first day, on September 22, dedicated to the presentation of the selected projects at pitching sessions, and three days of one-to-one meetings between their producers and directors and potential partners coming from all over the world. The Forum coincides with Films in Progress 36 and the third edition of Glocal in Progress; in 2018 it enjoyed the participation of more than 800 professionals. The selected projects compete for four awards: the Best Project Award; the EFADs-CAACI Co-Production Award, decided by the European Film Agency Directors and the Conference of Ibero-American Audiovisual and Film Authorities; the Eurimages Co-Production Development Award; and the ArteKino International Prize. Furthermore, thanks to the Festival’s collaboration with Ventana Sur, the film market organised by the Marché du Film-Festival de Cannes and Argentina’s INCAA (National Institute of Cinema and Audiovisual Arts), the European projects selected for the Forum as well as other Latin American projects submitted will be eligible for Ventana Sur’s Proyecta initiative. The Co-Production Forum is open to the submission of developing European and Latin American film projects with a minimum duration of 60 minutes and 20% of their funding already guaranteed. European projects must have an express connection with Latin America. Being the first time a project has been submitted to an international forum will be a special advantage. The Festival will select a maximum of 20 projects based on reports by three international experts: Agustina Chiarino, Andrea Stavenhagen and Javier Martín. Best Project Award, consisting of 10,000 euros (gross) for the majority producer of the winning project. EFADs-CAACI Europe-Latin America Co-production Award, for the majority producer of the winning project (amount to be defined). Eurimages Award for Co-production Development, with EUR 20,000 for the majority European producer of one of the projects selected, eligible by Eurimages. ARTE will give the ArteKino International Prize consisting of EUR 6,000 for one of the selected projects. This initiative is possible thanks to sponsorship of the Basque Government Department of Economic Development and Infrastructures, the support of Creative Europe MEDIA and the collaboration of CAACI, EFADs, Eurimages, Producers Network (Marché du Film-Festival de Cannes), National Institute of Cinematography and Audiovisual Arts-INCAA, ARTE, Creative Europe Desk MEDIA Euskadi, EPE-APV (Basque Producers Association), Etxepare Basque Institute, Europa Distribution, IBAIA (Association of Independent Audiovisual Producers of the Basque Country), Ibermedia Program, LatAm and Zineuskadi.